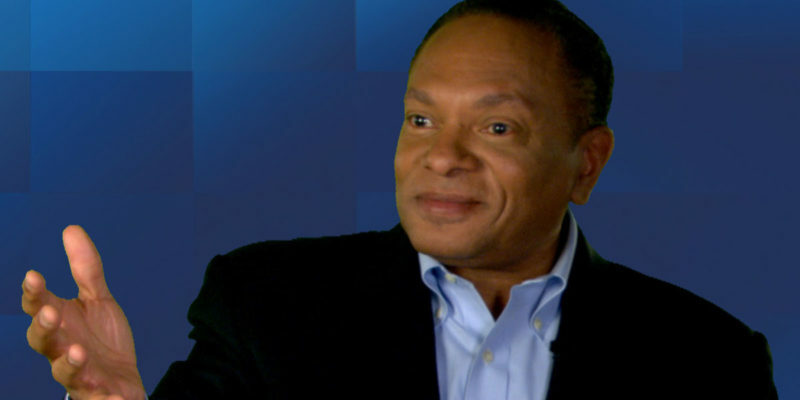 By becoming conscious of the connotation of their messages, leaders can communicate in ways that can truly engage and motivate employees to perform to their highest potential, says Stephen Young, NACUBO’s 2016 Leadership Series speaker. 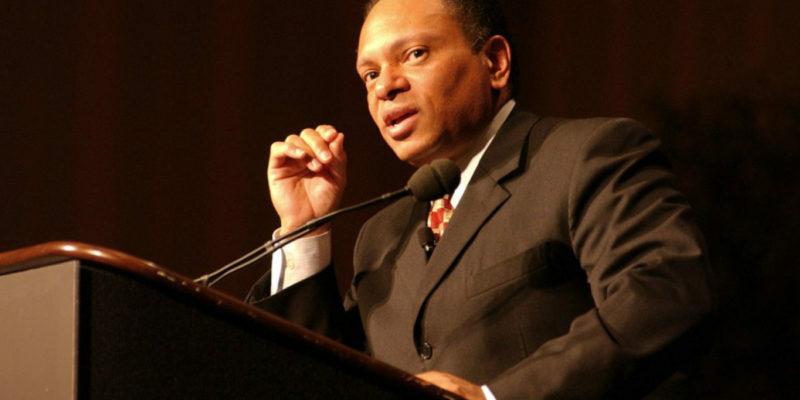 Stephen Young, senior partner at Insight Education Systems, is NACUBO’s 2016 Leadership Series speaker. “I see what you’re saying,” might be an accurate phrase to describe a central theme in Micromessaging: Why Great Leadership Is Beyond Words (McGraw-Hill Education, 2007). In the book, author Stephen Young, who is the NACUBO 2016 Leadership Series keynote, explains why words go only so far when leaders and managers convey input and feedback. In fact, nonverbal gestures can make or break the organization. The person talking to us may have the best intentions, but the subtle messages (micromessages) that come along with the words reveal the true underlying nature of what is really being communicated. This sometimes-contradictory result represents the core of unconscious bias in the workplace. Our intentions have little to do with our impact, believes Young, when it comes to the performance of others in the workplace. Few people come to work with evil plans or intentions. By and large, they truly want to do the right thing, as it relates to how they may be perceived as leaders. However, unwittingly, we all send subtle, micromessages that reveal our true feelings and override the words themselves. And, in this way, we can dramatically influence the performance of all those within our sphere of influence. The good news: Leaders can tap into micromessages (subtle communication through expressions, gestures, inflection, and other behavior) to motivate and inspire individuals in ways that directly influence how others perceive them as leaders, and that have an impact on the bottom line. Young, senior partner with Insight Education Systems, provides leadership, diversity, and inclusion services that help drive organizational change. He conducts seminars to train leaders in applying the skills of micromessaging to raise performance in very clear and measurable ways. 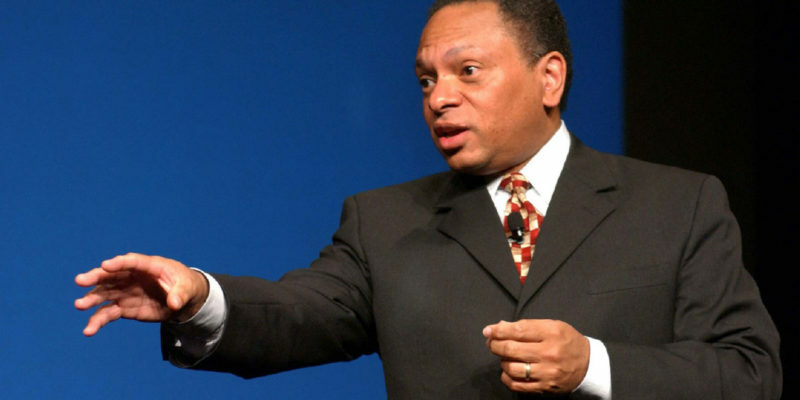 Prior to his current position, Young was senior vice president and chief diversity officer at JPMorgan Chase, where he managed the company’s global diversity initiatives. In this interview with Business Officer, Young explains the essence of the concepts he is conveying to attendees of NACUBO’s signature programs in 2016: Endowment and Debt Management Forum, Student Financial Services Conference, Higher Education Accounting Forum, Planning and Budgeting Forum, and Tax Forum. You believe that the power of leadership rests in one’s fluency in the language of influence and motivation, with micromessages being the heart and soul of leadership. Explain the concept of micromessaging, and ways that it can positively or negatively impact a particular work relationship or the overall organization. One of the best ways to answer that question is to start with the fundamental skills of leadership, and then tie them back to the ways micromessaging relates. When I ask people what it means to be a great leader—what essential skills are practiced by someone who is thought of as a great leader?—they typically suggest things like: is a good communicator, has a vision, listens attentively, is honest and fair, cares about people, and so on. Looking at this list of skills, we then separate the “requisite” ones from the true “power” and “impact” skills that define effective leadership. On the required skills side, even if an individual did all of those things well, it would not make for a great leader. Even if I could communicate well, articulate and believe in a vision, listen attentively, and do everything else on that list, these would not make me a great leader. On the impact side of great leadership, we are looking at the skills that have a direct influence on the performance of others. These include the skills of being able to motivate, inspire, and enable others to live up to their potential. The only way a leader can do any of that is in the way that he or she sends individuals messages. And, it’s not so important what is said, but, rather, what the individual hears—that matters. A leader can firmly believe that he is sending the same message to two people. But, because of the nature of the respective relationships, there are often some subtle differences—micromessages—that the leader is not conscious of conveying. Nevertheless, the messages get sent, received, processed, and acted on—and the manifestation is reflected in loyalty and performance of employees. The work we do with our company’s program is not in the world of the warm and the fuzzy, or the touchy-feely, or the conceptual. To the contrary, it is all focused on the action side of the equation and its impact on bottom-line performance. Let’s talk more about that. Now that we have general agreement that leadership is really about influencing the performance of others, let’s go back to the concept of micromessages, which are basically subtle messages of which we are semiconscious of conveying that are universally understood: certain looks, gestures, tones, nuances, inflections, inferences, and syntax. These can range from a subtle head nod that says, “yes,” to a head turn that says, “I couldn’t care less.” A smile of engagement, a blank look of indifference, a dismissive response, a wink of understanding—there are countless ways to send these messages. With our current technology, one of the most common methods, of course, is through the devices that we use. When I’m sitting in a meeting and I’m distracted by my tablet or a smart phone, I’m basically telling the other person that I’m really not interested in what he or she has to say. I could describe countless times when this dynamic is in play. On one occasion, I was going to be speaking after a company’s CEO made his remarks. I noticed that, before the CEO took the stage, at least a third of the people were engaged with their laptops, tablets, and other devices. The minute the CEO stepped up, every device was closed, and every eye was looking directly at him. This was a clear indication that inattention or distraction is not OK. And complete engagement is a way of showing respect for the leader. Often, we inherently understand that the behaviors we adopt do convey certain messages. Although we understand that they can be wrong and damaging, we do it anyway for a variety of reasons—one of which is that it’s what we want to do. And, in those ways, micromessages directly affect leadership. How might this process look in a work situation? When I convey a message in different ways to one person versus another, I influence the way in which they feel respected and engaged, and, ultimately, this can affect how they perform. Technically, the sender has done nothing wrong in sending these micromessages. They genuinely believe they are doing the right things. But, in many cases, that becomes the core of the problem. Let’s say that I come to the office in the morning and I say to one of my staff (assuming that I’m the supervisor), “Good morning, Susan.” I smile appropriately, ask about her weekend, and how her current project is coming along. I even ask if she needs any information or help. All the while, I’m looking around the room, and maintaining a placid expression and monotone voice. I might even end by letting her know that if she needs any assistance, I’ll be in the office. But, then, I take a couple of steps to the right, and greet one of her colleagues more like this: I smile, lean forward, tap him on the shoulder, and say, with a voice of high inflection, “Hey Billy, what’s going on? Good to see you.” There’s no question that it’s Billy who is connected. But, if you were to ever challenge me about treating these two employees differently, I would tell you that you’re out of your mind. In fact, I spent more time with Susan; and offered only a few words to Billy. What we need to understand is that, when we communicate, we use two communication methods simultaneously, and in parallel. We “denote,” while we “connote.” Denotation is about the words and the definitions of what we say, while, connotation reveals what is really being conveyed. And, if Susan were to challenge me on what I said, I would defer to my denotation, both intellectually and emotionally. After all, that’s what I said, and that’s what I did. In truth, it’s the connotation that reveals what I really mean. The essence of leadership, then, is in the ways we motivate, inspire, and get people to live up to their potential. And, the ways that we do that have to do with the micromessages that we send—messages that, in a positive situation, will cause them to feel more loyal, committed, motivated, inspired, and, in turn, to perform differently based on that communication. People seem somewhat inclined to hide behind the denotation part of communication. What are some ways that we, not necessarily as the leaders, but as individuals within an organization, might elevate the value, the weight, and the necessity of the connotation of the message? The best way to make that shift—to recognize the power of connotation—is to have people really feel it. That is the essence: to make people feel the impact of connotative communication and behavior. Interestingly, people can always find a reason why this activity, this subtle difference or nuance in leadership messaging, doesn’t apply to them or to their companies. But, is there any question, for example, of whether Susan or Billy will be the more likely to participate in a meeting, to challenge me when they think I’m making a mistake in a decision or judgment call? Who is more likely to be more loyal, more motivated, and more likely to perform differently? It’s not so much a matter of “hiding” behind the denoted communication; that implies that our behavior is conscious in that we’re actually implanting and strategizing to avoid something. Rather, people often do have the best intentions—they come into the workplace and want to do the right thing, focusing on saying all the right words and feeling good that they’ve done well. But, in fact, the impact on the connection, the performance, eventually indicates whether or not the intention brought about the best results. In relating this work to chief business officers—who often communicate to the faculty senate or to the surrounding community about financial decisions, for example—the CBO can’t assume that everyone is going to respond in the same way. How could we train our members to effectively handle the differing reactions? Correct, the business officer should not assume that everyone will interpret the message in the same way—or even understand all the details. Let me take this from the realm of effective communication—using the right words and explaining ideas clearly—to another aspect of leadership. That’s a dynamic that comes into play when delivering that mass message to everyone and ensuring that it conveys the same message to all. 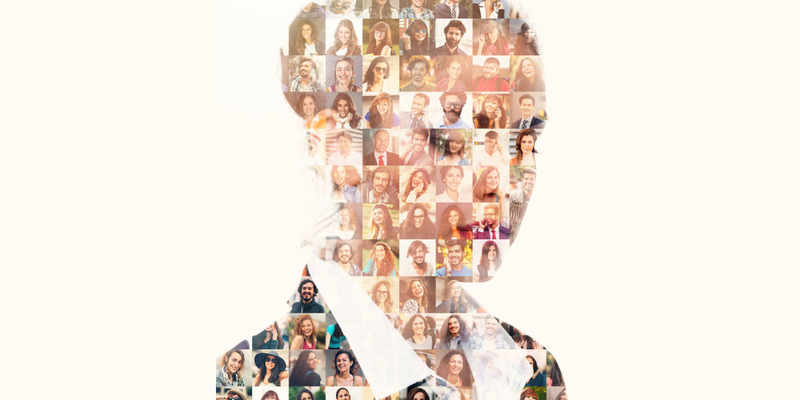 If a leader were to praise the work of one group and include words that subtly conveyed his or her personal positive feelings about them, but acknowledged another business group’s contributions with words that were more along the lines of a business description alone, that would be a microinequity—putting one group over another or simply ignoring a group when all other groups are recognized. We refer to this kind of messaging as communication that establishes microinequities. It would not, however, be a microinequity if the manager were to shower praise upon one group, highlighting its exceeding business targets in revenue, building new business relationships, and reducing turnover, while ignoring such public recognition of other groups. This is not a microinequity, because the recognition was purely performance based and not, in any way, related to the personal relationship of the group involved. The focus is not about treating everyone equally, or in the exact same way. Here’s an easy example: I have a son and a daughter. I don’t treat them equally or in the same ways. I might come home and tackle my son to the ground and gently punch him in the stomach a couple times. I certainly don’t do that with my teenage daughter. I’ll do things with her that I don’t do with him. But, they both know that they are treated equitably. That is the focus. In speaking to large groups, then, we’re focusing on whether or not the message can be interpreted in a way that maligns one group or makes the individuals in that group feel dismissed, unwelcomed, unwanted, or disrespected. If the higher education leader elaborates on the admissions department’s effective recruitment, the efficiencies resulting from a staff development program, or energy savings being realized from the facilities department’s work, and then gives a cursory comment on the advancement department, he or she has not treated the groups equitably. The imbalance in the volume of commentary and the content suggest that the advancement department is not important to the speaker/leader. In your book, you talk about the related concept of unconscious bias. Please describe what you mean by that and how leaders can avoid applying that bias to their communication and interaction. In our work, we define “unconscious bias” this way: The positions we hold about others that are influenced by past experiences, forming filters that cause conclusions to be reached about groups or ethnicities by ways other than through active thought or reasoning. Unconscious bias is entirely a state of mind. Since our sole interest in effective messaging is to focus on the controllable and manageable aspects, we don’t want to focus too much on unconscious bias, although there’s some value in the introspection, analysis, and personal understanding of our biases. But normally individuals don’t change their behavior based on this kind of self-analysis. For example, some people are afraid of public speaking, others of heights, others of spiders, and so on. I could learn that I’m afraid of spiders because, when I was a baby, a large spider bit me. Once that unconscious bias is uncovered, it’s not likely that I’m going to change my reaction to spiders. But, at least I’m smarter about it, although this new awareness will not likely result in any change of behavior. So, our focus is not about unconscious bias, but about why and when we should behave differently and how we should behave to everyone—because that demonstrates effective and equitable leadership. Here’s an example. During a well-publicized discussion among technology leaders, a woman in the audience publicly pointed out that one of the men on the panel frequently interrupted only the female panelists. She then redressed him for his behavior that reflected his unconscious bias. My view is that trying to embarrass or malign people in a public forum doesn’t help develop individuals or their leadership skills. Nevertheless, in this example, it was the CEO who was called out for what might be an unconscious bias—interrupting only the women who were taking part in the discussion—the idea being that the next time he’s interacting with women, he won’t interrupt them. But, if he follows through with that logic, he will now behave differently toward one group, resulting in their not being treated equitably, particularly if he is actually interrupting anyone—regardless of gender, ethnicity, and so on. While he normally would interrupt someone in a normal flow of a conversation, he won’t interrupt certain individuals because they are women. So, he now treats people differently—which is what we don’t want to happen. We want women to be treated equitably. The learning we should apply is to recognize that we need to be more focused in the ways we interrupt people, regardless of their gender, generational difference, nationality, or any other factor that might change the way we demonstrate equitable respect. Let’s go back to your example of Billy and Susan, where Susan is feeling that she’s not getting the same kind of inner circle messaging and advantaged behavior that Billy is receiving. What would be the plan of action to assist that supervisor in changing his or her actions to encourage, motivate, and engage both employees in the same way? The motivating factor for the supervisor to improve is the desire to become a more respected and effective leader. Not because a boss or someone from HR has directed it, but because the individual genuinely wants to lead and to develop teams well. We can see this in parenting. Even when a parent feels emotionally closer to one child over another, no one would be comfortable sending messages that prioritize the closer relationship. We behave equitably as parents, not because of any external pressure, but because of our desire to be an effective parent and develop our children equally. The motivation is to ensure each child receives the equitable support and development to achieve success. There is no difference in the workplace. We would hope that every person in the workplace would also have, as one of their missions in life, the motivation to enable people to live up to their potential. The motivation to do the work comes from treating people in ways that will result in them being more loyal, motivated, inspired—and ultimately performing at a high level. Explain how that parenting practice works when a child has done poorly and needs some critical feedback—and then relate it to the workplace, where it’s often difficult to address employees about their ineffective behavior, skills, or attitudes. How does the leader effectively communicate this assessment in a way that does not result in resentment, but in the individual remaining inspired and motivated to continue reaching for his or her best performance? The mission should always focus on the behavior and not the person. The parent might say that the child did something really bad. In this case, the parent is addressing the behavior. If the parent were to say that the child was a “really bad boy,” the remark is an attack on the person and not the behavior. Dual phrases such as these are called “synonymous alternatives.” While they seem almost the same, there is a huge difference in the impact of these two messages. To say, “You are such a bad boy,” devalues the person. But to say that the behavior was really bad, speaks to the action. One tends to not be able to change being a bad person, but certainly has the ability to change his or her behavior. Similarly, in the workplace, a leader needs to focus on and address the performance, not the person. Turning to higher education, what differences might you foresee in micromessaging in a college or university compared to that in a corporate setting? What situations or organizational elements of different types of organizations might create a different effect or result of using positive micromessaging? In the corporate world, title means a tremendous amount. The director, executive vice president, or managing director automatically gets a level of respect simply because of the position title. In the academic world, position isn’t normally as powerful. The president and other senior leaders are often seen as administrators, rather than leaders. Here’s how things might play out differently in an academic setting or in a classroom setting. This happened to my son, who is now very knowledgeable about micromessaging, because he’s lived with it for 12 years. In the classroom, a number of years ago, his teacher asked, “Does anybody have the answer to this question?” And, Jordan, whom the teacher liked and believed to be quite smart, is raising his hand. So, the teacher calls on Jordan, who provides an answer to the question that is only partially correct. The teacher then paused, smiled, and began to gently lead Jordon to the right answer, saying things like, “Well, almost. Part of what you said is absolutely right. Now, the other part—” and the teacher proceeds to explain the rest of the answer. She then says, “Good job, Jordan,” although it was really the teacher who got the answer right. Now, both the teacher and the student walk away believing that Jordon answered the question correctly. It would be no surprise that Jordan enjoys coming to school, doing the homework, and embracing his academic experience. The other student more likely sees it as drudgery. While the teacher has done nothing technically wrong, the impact, through her micromessages, on each student had a profoundly different effect. MARTA PEREZ DRAKE is vice president, professional development, at NACUBO. The motivating factor for the supervisor to improve is the desire to become a more respected and effective leader. In the workplace, a leader needs to focus on and address the performance, not the person. 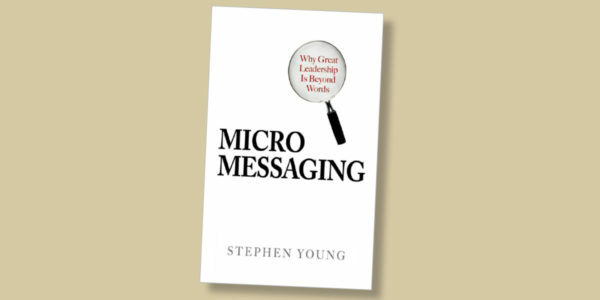 The basic concepts for Stephen Young’s keynote speeches for NACUBO’s Leadership Series are found in large part in his book Micromessaging: Why Great Leadership Is Beyond Words (McGraw-Hill, 2007). By understanding how their nonverbal cues can make others feel, even if those messages are delivered and received without conscious awareness, leaders, says Young, will not only improve their leadership skills, but they will also facilitate a stronger, more inclusive, and higher performing organization. Young’s related leadership program, “MicroInequities: The Power of Small,” teaches leaders at all levels to focus less on the prescribed task at hand and more on the subtle, often unwittingly delivered, micromessages that subtly motivate others to strive for improved performance.